Just because a real estate listing is expired, unsold or withdrawn from the market, doesn’t mean that the real estate sale is dead and gone forever. Far from it. We can revive Expired, Withdrawn, Unsold Listings with the Right Marketing Plan which includes the right listing price. Often what’s needed is a new, fresh approach. Because if you keep doing the same thing you’ve always done, you will get the same results you’ve always gotten. Effective Real Estate Marketing has changed dramatically in a short period of time. And like all rapid changes, some learn new skills and keep up with the changes and some do not. First, the Realtor® is responsible for preparing the Comparative Market analysis, CMA to help Seller decide on the best Listing Price. Second, the Realtor® is responsible for the design and implementation of your Real Estate Marketing Plan. 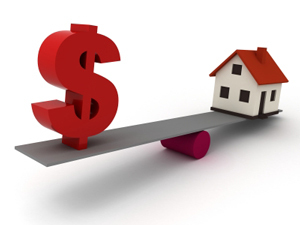 Everything must be in balance for a property to get sold, especially in today’s real estate market. So the right price is the point from which all good things flow in real estate, but only IF all the bases have been covered by a superior Real Estate Marketing Plan. What’s the big Real Estate Pricing “IF” ? The Big IF is my job. The Big IF is the long list of services that a tech savvy Realtor® has the knowledge and skill to put into motion to support the right price. Services like professional quality photos, Virtual Tours, property presentation skills to the Internet and more than 30 Real Estate Websites, etc, etc. If the listing price is right, then all of the other factors begin to work in unison, like a precision watch. The hour and date that the price is set is the point at which the balance is struck between the Marketing Plan and the highest and best price that will draw the buyer to the unique features and benefits of your property. How Do Realtors® Help The Seller Determine the Property Listing Price and a pricing strategy? The property listing price is the result of a collaborative effort between the Listing Agent and the Seller of the property. The Realtor studies the comparable market, then prepares a written Comparative Market Analysis, CMA, to share with the Sellers to determine the right price range for listing and a projected Sold Price range. What Should Be Included In An Effective Comparative Market Analysis? It’s good for TODAY. Real Estate markets are constantly changing and the terms of the listing must be constantly updated to stay in tune with the changing market. Is it time for a change? A fresh approach look at the market? An aggressive Property Marketing Plan? Contact or call Judy 610-889-5509. I have time for some new clients. Let’s talk about a plan to get your property SOLD. This entry was posted on Thursday, October 16th, 2008 at 8:15 am	and is filed under Expired Listings Help, Home Sellers. You can follow any responses to this entry through the RSS 2.0 feed. You can leave a response, or trackback from your own site.